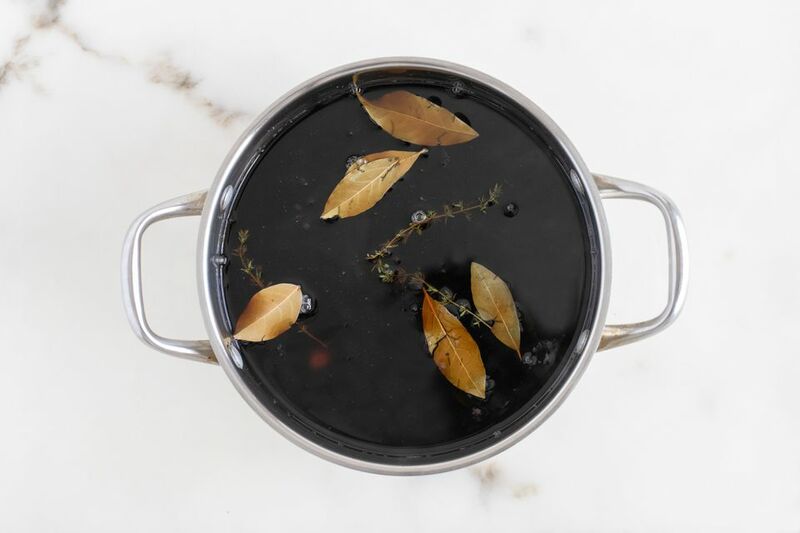 This brine offers a sweet maple flavor and can be used on any kind of poultry and pork. Try it on your holiday turkey, large pork roasts, or weeknight pork chops. Place 2 quarts (1.9 liters) of water and other ingredients in a large pot and bring to a boil, dissolving sugar and maple syrup. Remove from heat, add remaining 2 quarts (1.9 liters) and allow the brine to cool completely before using. This might take an hour or more. Follow brining instructions for optimal results. A large turkey and pork roast require different times; if you are brining pork chops, halve the recipe.